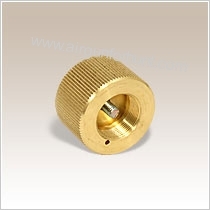 An extra lightweight air-venting tap. Magazine capacity is 14 shots. Its uncomplicated design is easy to fill and load. Just insert magazine and put locking mechanism into place, cycle bolt and you are ready to go! 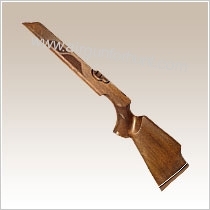 Handy and elegant sporter stock is oiled walnut with checkering on the pistol grip and forend. The checkering seems to be in exactly the right place no matter what shooting position to take. The pistol grip accommodates your hand in a comfortable and useable position. 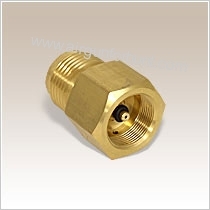 This adaptor (200 bar) is lightweight and easy to use. It is made of bronze. This clever piece of engineering allows you to shoot your HW100 single-shot. Fits into the breech as easily as the 14-shot magazine. Available in cal. 4,5 mm / .177" and 5,5 mm / .22"
Seal fits HW 75. Easy to install and maintain. 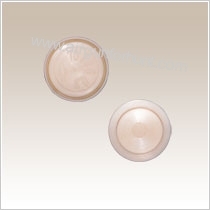 Piston seal (nylon) fits HW 50. Easy to install and maintain. It is made to fit the piston tightly. The powerful mainspring for Weihrauch HW 50 guarantees an extraordinary efficiency and penetration power especially at longer distances. 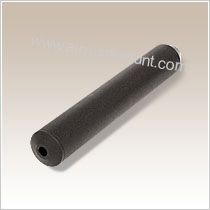 This silencer is now much quieter than the original ones and easy to attach and remove. It can be used on any rifle that has a half inch male thread. 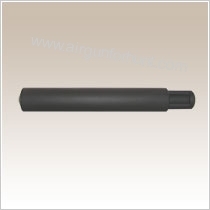 This silencer has been designed and manufactured for air rifles only. The detachable air cylinder has a handy integral pressure gauge. A fill to 200 bar should equip you for 50-120 shots. The powerful mainspring fits the model HW 80. 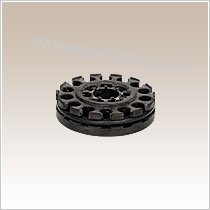 The powerful mainspring fits both HW 25 air rifle and HW 45 air pistol. 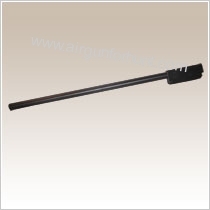 High-quality breech seal fits air rifles HW 97 and HW 77. Simple replacement, easy operation. This piston seal fits both HW 25 and HW 45. Piston seal (nylon) fits HW 97 and HW 77. Easy to install and maintain. It is made to fit the piston tightly. 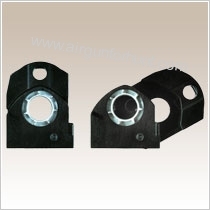 High-quality breech seal fits Weihrauch HW 45. Simple replacement, easy operation. 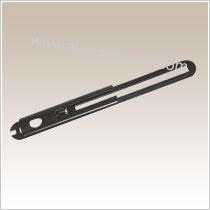 An extra lightweight safety slide fits Weihrauch air rifles HW 97 and HW 77. Prevents you from accidental shots. Handy and easy to use. The powerful mainspring for Weihrauch HW 97/HW 77 guarantees an extraordinary efficiency and penetration power especially at longer distances. The long lightweight air cylinder for the HW100. Matt black, anodised finish. The weight is approx. 525 grams. 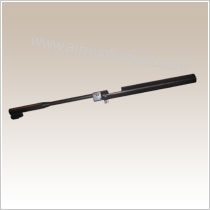 The shot capacity is comparable with the factory cylinder. The length is 500mm. The charge pressure is 220 bar. 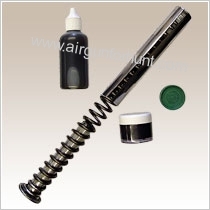 We are delighted to offer the best tuning kit from V-Mach for Weihrauch air rifles. The kit includes a F1 Powr-Lok spring with a PTFE top hat piston guard and polished spring guide, Powr-Pulse piston seal, pre-compression washers for power adjustment if required, Moly gun grease and Moly gun oil. V-Mach tuning kit is an ideal choice for those who want to improve a spring rifle?s performance. The tuning kit is supplied with special instructions to make your experience of servicing guns more comfortable, safe, and enjoyable. High quality Weihrauch barrels from the world-known reputable German manufacturer. 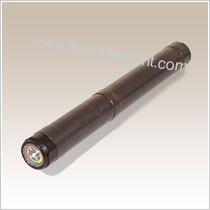 Provide supreme accuracy beyond expectation. Barrel weight makes it easier to hold the rifle steady. Lightweight rubber o-ring fits the air rifle HW 100. The flexible nature of o-ring materials accommodates imperfections in the mounting parts. 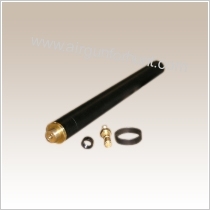 Lightweight rubber o-ring fits the air pistol HW 75. The flexible nature of o-ring materials accommodates imperfections in the mounting parts.